Is holy Quran significant for the human race? 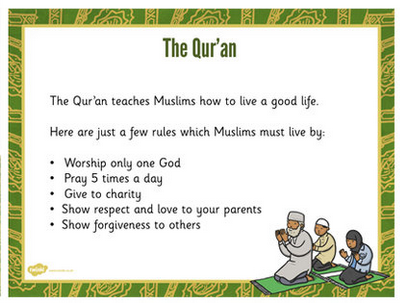 Are the Stances of the holy Quran just for Muslims? If Gracious Almighty (God) is the creator of the worlds and the noble Prophet is pronounced as the messenger for the worlds and the holy Quran is stated as a notice to the worlds, then what is the significance of the Quranic meaning to the world? How can the Muslims and non-Muslims, benefit from the collective message of a collective and compassionate Creator? The holy book of Gracious Almighty (Al-Quran), Muslims believe is the ultimate statement, Gracious Almighty revealed for human-beings through noble Prophet, in the 7th century. Muslims also believe that the holy Quran confirms all that was revealed to all the former messengers of Gracious Almighty. The Muslims believe the guidance of the Quran is for all time, and all people and none shall touch but those who are clean (purified), however more serious among them believe that the verse refers to the pureness and sanctity of the heavenly message highlighting, the fact that it is revealed by the One who is absolutely authentic, Gracious Almighty and delivered by the one who is sacred and pure Guardian, Angel Gabriel and delivered to the one and only dearest Prophet Muhammad, who is acquitted from committing any mistakes in delivering the divine message. The Laws of Quran do not deprive mankind of their human rights, for their gender, color or even secular view. The holy Quran debates in a wider term and states; no one has a right to disagree mankind’s dignity, which is Gracious Almighty’s given right. In the past, world had trouble in appreciating the legitimacy of this Quranic memorandum. Societies were victimized on the basis of their culture, status, gender, religious activities and political authorities were in case justifying these perceptions. A model case of rejection of such dignity can be discovered in India where conferring to religious scripture a group of people were written off as low classes or castaways because of their natal in a specific communal group. The sharing of these human resources, in a way that would guarantee the self-worth and unity of humankind is a key challenge for human-beings. Battles have been fought for land-dwellings and access to nature’s wealth such as water, land-dwellings or gas without understanding that, none of these nature’s resources were created by human being, yet human-beings have always battled over their greediness to control them. The holy Quran clarifies the determination to provide these wealth are to make sure that human-beings are not run-down of their basic needs for existence. Today about 1.7 billion people slumber with hunger and over 60% of the population earns less than a dollar a day. Hunger is common and so is penury and people deprived of clean water, even though there is plenty of a fresh water reserve. Today people are forced to slumber on boulevards, underneath the open blues, yet there is quite a land to make available housings for everyone. Holy Quran not only highlights justice, but also endorses a pace exceeding justice and reminds that people who are expected to attain success are those who transform their characters and no longer push others away to greedily fulfill their own desires. Realizing that the other person’s need is more severe, they happily allow them to fulfill it first. Every society demands justice as its core value, however we find that every society violates its own values and supports injustice on the center of divisions that individuals have fashioned amid themselves. So much unfairness, dishonor and rejection of basic human-rights take place in our world, because people incline to view justice for others as not compulsory. On the other hand, without resulting to justice, it is not possible to consider self-respect, harmony or universality of civilization. Quran’s ultimate goal is to secure a peaceful human-society so that a peaceable family can safeguard the wellbeing, of an individual for getting true prospective of life and organizing a life that is perpetual in every sense. The harmony of people, the self-esteem, the integrity and the universality of human-wealth surface the route for harmony. Therefore, the message of the holy Quran is collective and perpetual, while the Divine sets the principles through messages sent to human-beings. It is upon us to strive for the path of harmony, self-respect, universality, integrity and ceasefire, not the path to claim with each, who is superior to the other or who would succeed for the Grace of Almighty Allah (God) and who would not.